Through Applied Ballistics, Bryan Litz has helped to create several ballistic apps that shooters have come to rely upon. These apps have helped competitors, police snipers, military snipers and the average shooter to achieve results that would normally require technical knowledge and extensive calculations without it. 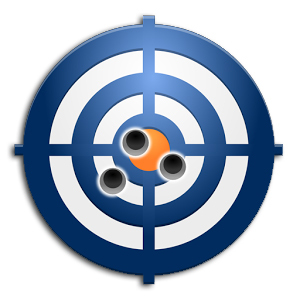 The Shooter App is a highly accurate ballistics calculator with a clean, intuitive and polished user interface that places itself far ahead of the competition. Shooter has been used repeatedly to put shooters in top positions at shooting competitions and by police snipers across the globe. Extremely accurate, fast and proven ballistics solver created by Berger Bullet’s chief ballistician and champion shooter Bryan Litz. Save firearm and ammo data as profiles so you don’t have to keep entering the same data over and over each time you want a calculation. Enter and manage all your firearm/ammo data online using your PC at http://manage.shooterapp.net at no extra charge. Online backup included at no extra charge. Graphical wind dial for easy wind speed/angle input. Built-in large bullet library to make it simpler to add your ammo profiles. Trajectory and windage graphs including the ability to compare multiple loads in one graph. Supports Coriolis Effect and Spin Drift calculations; Can get your Latitude for Coriolis Effect using GPS. Automatic-atmosphere input using your GPS location and nearest weather station. Zero-atmosphere support. This will auto-account for changes to your zero when shooting in a different atmosphere. Solution HUD screen which allows for extremely quick and easy changing of shot distance, wind or lead speed. Free Bluetooth Kestrel Weather Meter plugin available. Includes dark theme for night shooting. PLEASE NOTE: The links below bring you to the Shooter App website where you can buy products directly from them. If you need technical assistance with this product please contact Shooter App. For more information and operation manual, please visit ShooterApp.net. Purchase your copy of the Shooter App for Android here. Purchase your copy of the Shooter App for IOS here. The Applied Ballistics App is the perfect tool for the advanced long range shooting enthusiast or professional. This state of the art ballistics solver by Bryan Litz calculates accurate fire control solutions for long range rifle shooting, accounts for all major and minor trajectory variables including the use of measured G7 BC’s and even gives the option to use custom drag models for specific bullets. Output is available in several formats including single shot ‘HUD’ view, table output, graph output and the highly effective reticle output view, in which you can see a single shot or trajectory trace in the context of a specific scope reticle which responds to magnification adjustments and ‘dialing on’ elevation. The ballistic calibration feature allows users to ‘train’ the software to match a specific rifle based on observed impacts at long range. Firearm/ammo/target organized into savable profiles. Bullet library with over 1,300 bullets to save you from having to look up BC information. Custom drag curves (i.e. rather than using G1 or G7, Applied Ballistics has measured and developed specific drags for specific bullets, no other calculator does this). Support for multiple BC’s at specified velocities (aka “stepped BC’s”). Sync your profiles to the cloud so you never have to worry about losing all of your data. Load atmospherics based on GPS location and nearest weather station. For more information and an operation manual, please visit appliedballisticsllc.com. 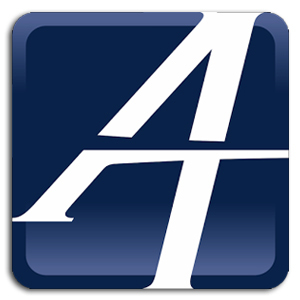 Purchase your copy of the Applied Ballistics Mobile App for Android here. Purchase your copy of the Applied Ballistics Mobile App for IOS here. 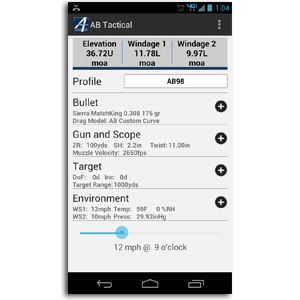 The Applied Ballistics Tactical App for Android was developed for the military sniper, with direct input from the community on desired features, interface and functionality. Designed to work completely “off the grid,” this application does not rely on data, cell or GPS connections for performing any of it’s functions. All BC’s and custom drag models are included for over 300 bullets (custom drag models are only available through in-app purchase with the commercial AB Mobile app). Blue-tooth connectivity with Kestrel devices is supported. Weapon profile management stores the details of your rifles and ammunition for easy selection in the field. The top level of this app always shows your elevation and wind bracket for the selected weapon profile and conditions which are all visible at the top level. With drag models measured via live fire in the Applied Ballistics Laboratory, the accuracy of trajectory prediction is second to none. However, ballistic calibration is available to correct the solution based on observed impacts when complete inputs are not known. You can read further details and features of the Applied Ballistics Tactical App in the user instruction manual. For more information and an operation manual click here. The AB Tactical app is not available on the open market. It’s available to US Military only (Military ID required), directly from Applied Ballistics. If you have a valid US Military ID and want to learn more, email support@appliedballisticsllc.com .